Zeitz restores leaded stained glass windows for churches, using Community Preservation funds. He has also restored the Civil War monument in Oak Bluffs, a painted cast zinc and iron sculpture. 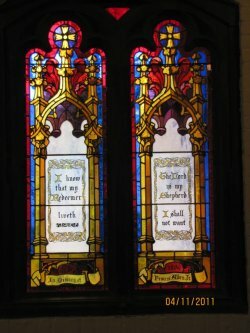 Click to view examples of Leaded Stained Glass Windows.